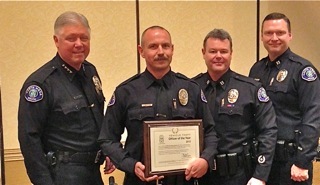 The Costa Mesa Police Department today announced that officer Hans-Walter Guenther has been named Costa Mesa's 2012 Recovery Officer of the Year. Shown in the photograph above with Chief Tom Gazsi, Captain Les Gogerty and Captain Rob Sharpnack, Guenther was recognized at the Vehicle Theft Recovery Awards banquet this week. The event was sponsored by the Auto Theft Advisory Committee, a partnership between law enforcement, insurance and auto-related companies to reduce auto thefts. According to the press release, Guenther's proactive enforcement throughout the city during 2012 resulted in his recovery of 18 stolen vehicles, 3 of which were occupied by suspects. His self-initiated efforts resulted in 5 felony arrests as well as the financial recover of $186,810 worth of stolen vehicles. Congratulations to Officer Hans-Walter Guenther for this outstanding achievement, and to all the men and women of the Costa Mesa Police Department who work hard to keep us all safe although working with a severely diminished staff. Speaking only for myself - but I suspect other residents of this city feel the same - thank you all for your continuing efforts on our behalf. 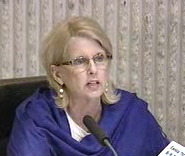 Still bleary-eyed and sleep-deprived, I'm back to report on some of the other things that happened at the marathon Costa Mesa City Council meeting last night/this morning. Right off the bat we had a couple nice presentations. Darnell Wyrick, President of Mesa Verde Community, Inc., the homeowners association for that part of town, made a nice presentation to Ernesto Munoz, Director of Public Services for the City. The presentation included a PowerPoint show of projects completed over the past several months that positively affected the Mesa Verde community. Then Mayor Jim Righeimer presented a certificate to John Sendrey, the Costa Mesa resident who facilitated the rescue of Kyndall Jack from her precarious situation in the Cleveland National Forest. His is an example of a person with a special skill set who saw a need and filled it. Kudos to him for taking the initiative and helping to save a life in the process. During Public Comments several residents stepped up with a litany of observations/complaints. For example, Ernie Feeney told the council that the city spends almost $635,000 to Mesa Water each year, so she's looking for some kind of intervention on the way that district spends their money. Geez! Bob Dugan wanted more handicapped parking at the golf course. 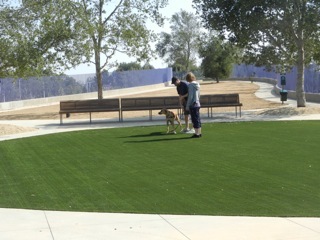 Al Melone used his time to rave about the new Newport Beach Dog Park instead of griping about ours, as has been his practice in recent months. Every time he speaks I think how wise the voters were to reject him as a council candidate last November. 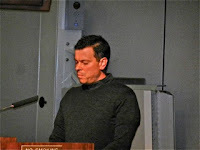 Then curmudgeonly John Feeney - the second part of the family tag team - stepped up and railed about "a blogger" (me, I guess) who "inaccurately" posted about the requirement for candidates for city appointment to the Senior Center Board to pony up $500. He was obnoxious in his own special way - but he was wrong. What we reported was on the City announcement - and that included the requirement for the payment. They later changed their entry... It might have been helpful for Old John to talk with me first, to save the embarrassment of being wrong at such a high volume. By the way, things are not good between the City and the Senior Corporation Board. The Board is having a tough time with fundraising and there seems to be no sympathy for their plight at City Hall. Perry Valantine stepped up to address the Business License Fee, which he reminded the council has not been changed since 1961. His three minutes was eloquent and accurate. There is NO reason not to discuss changes in that fee - except for a political dogma being followed by the majority on the council. Then a grumpy old fella stepped up and gave us his "alligators and swamp" story again, using the recent gang stabbing as cannon fodder. He wants the city to stop spending money on silly essential stuff and buy up "slums" - his term for apartments where Latinos live in our city - so they can be torn down and replaced with pocket parks. I wonder if he realizes just how tiresome that argument is getting? Or, if he cares? Gary Kutcher, the head of the OC Marathon, stepped up to thank everyone who supported that event again this year. He told us that more than 1,000 room nights were generated in Costa Mesa facilities due to the race, that more than $300,000 will be raised as a result and that 4,500 kids ran in the short race. Cindy Brenneman told the council that she enjoyed cheering the marathoners on as they ran through her neighborhood. Her main reason for speaking, though, was to recognize Peter Naghavi - who will finally leave the employment of The City this Friday. According to CEO Tom Hatch, a replacement has been hired and is undergoing the background check and should start to work the first week of June. Naghavi will actually be impossible to replace. His dedication, tenure, skills and institutional knowledge have made him the perfect employee - as I've written here before. We wish him well. To learn more about this fascinating man watch the City Talk video clip from last December, HERE. During Council Member Comments Wendy Leece promoted the OCTA Citizen's Advisory Committee and the Relay for Life and tried to recruit members for her team. Righeimer said he'd sign up right then. She also talked about the Art in the Park event at Estancia Park on May 11 and the General Plan workshop at the Emergency Operations Center on May 15th from 6-7:30. Gary Monahan had nothing to say. Righeimer reminded us that he will be out of town with Mayor Pro Tem Mensinger and an entourage to Las Vegas from May 19 - 22nd, so he asked Leece to run the council meeting on May 21st. Let's just hope we have a quorum. 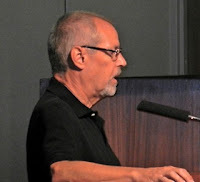 After making a snide, backhand remark about the Senior Center requirement for $500 for Board members (you'll recall I said all is not well with The City and the Board) he launched into his little "why we need a charter" mini-rant. He dredged up his "$41 dollar an hour sign holder" and complained about how "the employees" refused to let him outsource certain operations. He also blamed the employees for the litigation. I looked, but didn't see his nose growing yet. Steve Mensinger used his time, in part, to wish his son, Hunter, a happy 14th birthday - and complained about how public service makes him miss these days. He also addressed Naghavi's pending departure, citing 587 meetings Naghavi attended in that venue and mentioned "brain damage"! Somebody needs to remind Steve that the council chambers is not a locker room where every word that runs across his mind needs to be said! What a schmuck! He also told Harold Weitzberg, whom he apparently had promised to participate on a team for the Relay for Life, that he couldn't make it, so he'll write a check. That seems to be a prevailing theme in his life - got a problem, write a check. Sandra Genis, among other things, corrected a misstatement made earlier by Righeimer concerning the need to outsource our Street Sweeping operations or we'll have to buy all new equipment. 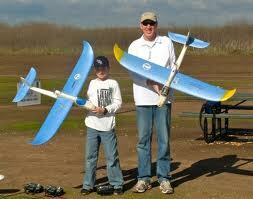 She reminded him that our equipment is grandfathered in. She also talked about Banning Ranch and also thanked Naghavi for his service. Monday, May 13th in Conference Room 1A at 4:30 there will be a joint study session with the Planning Commission and the City Council so the commission can get its marching orders. Tuesday, May 14th, also in Conference Room 1A at 4:30 there will be a similar joint study session with the council and the Parks and Recreation Commission. Following that meeting, at 6:00, there will be a closed session council meeting. On Wednesday, May 15th, at 6:00 in the Emergency Operations Center there will be a General Plan Workshop. On Thursday, May 16th, there will be a 60th Anniversary Community Meeting at 6:00 in council chambers. On Tuesday, May 21st, there will be a council meeting in council chambers at 6:00. On Tuesday, May 28th there will be a Budget Study Session in Conference Room 1A at 4:30. 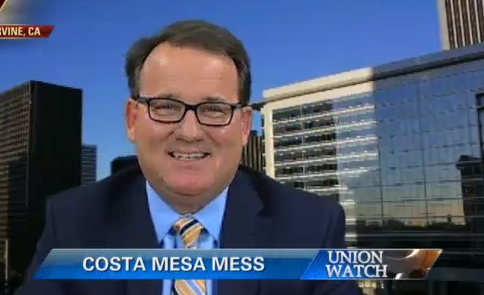 He also spoke about the recent successful Mayor's Celebration, which has been running on Costa Mesa Television, Channel 3 on Time Warner Cable and Channel 99 on ATT U-Verse. I don't have the link for it yet. We finally got to the Consent Calendar - you will recall that Righeimer prefers that nobody pulls anything for separate discussion. However, life is full of unfulfilled expectations. Items 5, 7, 8, 10 and 12 were pulled and the remainder were passed with a 5-0 vote. 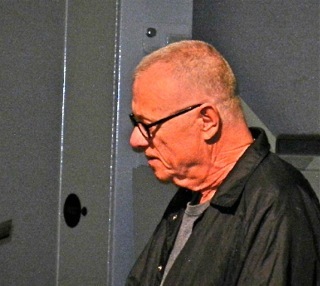 Item #5, was pulled by Leece because of the payment of $14,000 to Chip Espinosa. Hatch explained the charge. Espinosa is conducting a series of "listening sessions" among the employees to get a sense of how they are feeling about having to do more with fewer people, etc. I had correspondence with Assistant CEO Rick Francis about this program last week. He told me that Espinosa is almost finished with the assignment and that it would cost no more than $39,500. He says a final report will be presented to the council and employees, so I hope it will also be made public. I've had some experience with these kinds of programs in the past. Typically, they create expectations on the part of the employees that "things will get better" as a result. If they don't, then whatever morale issues that existed before are only exacerbated. Quite frankly, from comments I've heard, Espinosa has been surprised with the results of these small group meetings - and not in a positive way. We'll see. 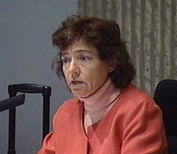 Genis pulled #7, the three year contract for Managed Investment Services, HERE, for discussion and former employee and lawyer, Eleanor Egan, stepped up to comment and basically read the council the riot act. She wondered about exparte communications between the vendor (s) and council members. She told them the contract attached had not been approved by the City Attorney as to form, that it included unlimited terms, there was an exhibit missing, that this kind of thing led to the county bankruptcy a few years ago and on and on. The upshot of the discussion was that this item was continued on a 5-0 vote until the June 4, 2013 meeting, at which the staff will have resolved the issues in question. Leece pulled Item #8, HERE, the Deferred Comp plan issue, for clarification. After the issue was cleared up both Monahan and Genis abstained because they participate in the plan. It passed, 3-0. The grumpy old fella mentioned above pulled #12, HERE, - which was taken out of order just because he was standing at the podium - the issue of purchasing 435 new desktop computers. He mixed his criticism with mis-information. Other community members stepped up to support the move and it was passed, 5-0. Genis pulled #10, HERE, the renewal of the Harbor Soaring Society agreement and appeared satisfied with the one-year renewal because the new Fairview Park Advisory Committee will soon begin doing an assessment of the entire park and its amenities. It was passed, 5-0. From there we launched into the Public Hearing on the development on Tustin Avenue, which was covered in my previous post. 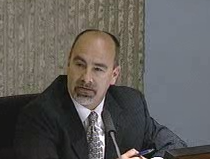 One amusing sidelight during that discussion I failed to mention was Steve Mensinger's apparent brain burp when he addressed Principal Planner Minoo Ashabi as "Fariba" - apparently confusing Ms. Ashabi with City Engineer Fariba Faselli. I guess all women look alike to him. That's OK - that's just "Steve being Steve" - an excuse he's lived by most of his life. As I said earlier, what a schmuck! As I feared, last nights Costa Mesa City Council meeting was another marathon - perhaps in honor of the OC Marathon last weekend. Whatever the reason, the proceedings didn't wrap up until 12:40 a.m. this morning. Ugh! I'm going to cover the meaty issues from last night here, and do a subsequent post on some of the other things that happened last night later. One of the reasons the meeting took so long was because the council spent over two and a half hours discussing a 14-unit development on the Eastside. 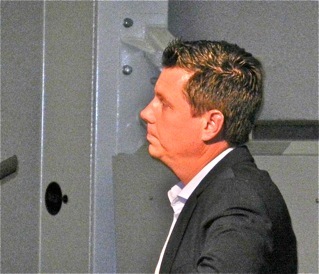 Most agreed that developer Matt White produced a "nice project". Despite warnings by councilwoman Sandra Genis - a land planning professional - that it was illegal, the council approved the project on a 3-2 vote. Genis and Wendy Leece voted no. You can read Bradley Zint's coverage of this issue in the Daily Pilot HERE. We learned during this discussion that Jovial Jim Righeimer is gone again. Our mayor used his pulpit to chide folks who used their rights as concerned citizens and neighbors to speak against this project. His message to them and others was loud and clear. Speak out if you want to before the Planning Commission, but if the item shows up before the council we're going to slap you down. How dare they oppose something that the Planning Commission approved?! By the way, Planning Commission Chairman Jim Fitzpatrick wandered into the chambers midway through this discussion and wandered out again when it was concluded. When the council convened at 10:15 following a 10 minute break it took them 3 minutes to hear and pass the first item under New Business - the reauthorization of the Business Improvement Area (BIA). Then, at about 10:20 p.m., they began the discussion of The Charter. You can read the staff report HERE. As I've said before, this council is putting the cart before the horse since nobody has yet defined WHY we need a Charter. Well, in a preemptive strike of sorts, during Council Member Comments Mayor Jim Righeimer got out in front of the question. He said the following: "The question always come us, you know, 'Why a charter, why a charter, why do you need a charter?' And, you know, obviously there'll be, if a charter goes forward with a committee, there'll be a campaign and we'll get into those things. But this real basic, it's very simple, why a city would do a charter. It's called having local control and saving money." Of course, that sounds all well and good, but the devil is in the details and we're still waiting for those details. He gave us the "Why", now we need to know the "How" of the question. How will it give us "local control" and How will it save us money, specifically. 4 - The selection of special counsel. 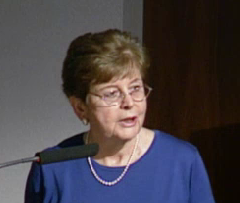 Barlow indicated that the state law on commissions required a 15 person body. She suggested that the council might consider, in addition to the 13 person committee previously discussed, perhaps expanding it to 15. That was rejected. HOW TO SELECT A COMMITTEE? How the committee will be selected generated a lot of conversation. 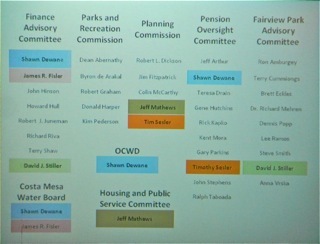 Former council member Jay Humphrey provided a chart that showed the cross-pollination of the other city commissions and committees, suggesting that the council should avoid appointing individuals that already serve on those committees - especially those serving on multiple-committees and/or commissions. That suggestion was also rejected and you could see what was coming. The first five would be appointed by the council, one per each member. The remaining three would be randomly chosen by lot. The result of that process would almost certainly establish an 8-5 majority in favor of the charter - the three selected by the majority plus the five that would be voted upon. The primary concern about the selection process, as discussed at length by Genis, was that the current council majority was pro-charter last time and the current minority - Genis and Leece - was against the charter, simply using a council vote method would stack the committee in favor of the charter as mentioned above - and would likely result in a recommended document that resembled the previously defeated document. She suggested a more balanced selection process. Make it a 15 person committee. Allow each council member to appoint one person, then take all the remaining names who applied and put them in a hat. Shake them up and select one at a time until the 15 positions are filled. If all ten turn out to be favorable to the majority, so be it. It was rejected on a 3-2 vote. The staff recommended method, above, was chosen, on a 3-2 vote. 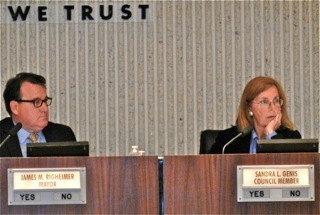 Genis and Leece voted no. No provision for alternates on the committee was discussed. So, the council authorized the recruitment for a charter committee beginning today. You can read the announcement HERE. No qualification are shown on the announcement, so I contacted Barlow to confirm what she told me following that part of the meeting last night. The only qualifications for membership on this committee are being a Costa Mesa resident and a registered voter. The application period ends on May 28th and the selection will likely take place the first council meeting of June, on the 4th. Leece asked about the timeline for this process early in the discussion. 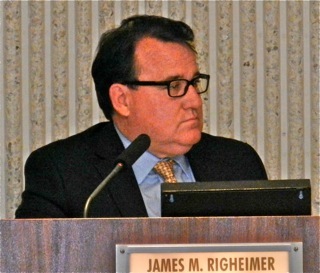 If the plan is to place a charter on the June primary election ballot - that's Righeimer's plan - then the first public hearing must be held early in December. That doesn't give a committee that will be created in June much time for public outreach and consultation. If the November ballot is the target there is more time - the first hearing would have to be in May of next year. There is legislation pending in Sacramento that will require anything dealing with a charter to be on a General Election ballot. Then, at 11:25 p.m., the council prepared to hear Interim Fire Chief Tom Arnold's latest proposal for the reorganization of the Fire Department. You can read the staff report HERE. 5. Direct staff to modify the CEO’s Proposed FY 2013-2014 Budget to include the financial impact as described in the outlined recommendations. I suggest you go to the staff report and read those 17 items on Table A to get a feel what will be studied and what will be implemented. It's a good read. Arnold and Deputy Chief Fred Seguin used examples of recent events in the city to demonstrate how the Fire Department would respond using then new model. This new model, which is projected to save only $15,000 in the next fiscal year and nearly $2 million annually thereafter, plus provide superior response times, falls short of Arnold's original proposal. For the near future CARE Ambulance will continue to provide medical transport within the city. The new program will be "phased in", and the CARE situation will be considered later. I suggest you visit the City website to see who might have benefited in the past from CARE political contributions. This plan will require closure of the Metro Fire Station, #6, in the north part of town. Arnold and Seguin demonstrated how this area will be covered using mutual aid from surrounding communities. This new model, which will require the acquisition of six new Emergency Medical vehicles - which has a timeline of approximately 210 days from the date of order, according to Seguin. 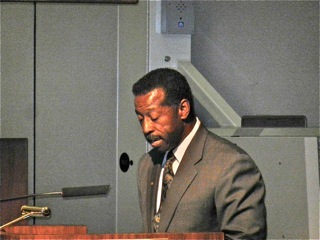 Several speakers expressed concern about finding a permanent replacement for Arnold, who is restricted by the terms of his retirement from Newport Beach to working less than full time. It's my understanding that a recruitment is underway now. 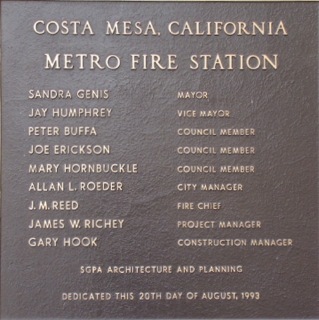 Righeimer praised everyone involved - Hatch, Arnold, Seguin and the leadership of the Costa Mesa Firefighters Association for their willingness to consider a new approach and - in the case of the CMFA - finding a way around the minimum manning requirements to make this new model possible. Gary Monahan had to remind Righeimer - at 12:15 - that they needed to vote to work beyond midnight. We finally left the chambers just before 1:00 a.m. This is a pathetic way to run a city! 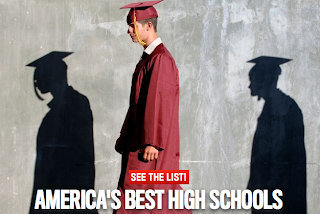 The Newport-Mesa Unified School District announced today that all five of the high schools in the district - for the very first time - have been ranked among America's best high schools. To see the entire list of all 2,000 high schools ranked in order, plus the matrix used to measure them, click HERE. Congratulations to the Newport-Mesa Unified School District, the administrators in the schools and, of course, to all the students whose achievements resulted in this outstanding performance. Imagine... an award that doesn't involve youth sports! Will wonders never cease? The Current, the local edition that has been included with the Orange County Register on Fridays for subscribers in Costa Mesa and Newport Beach, has now begun print publication five days a week - Monday through Friday - and today was the launch. Unfortunately for me, my Register didn't include The Current today! Arrgghh! However, after one telephone call a copy magically appeared on my porch. Now, that's customer service! In the meantime, I'd snagged a copy from a local newspaper rack - an idea you should consider for this issue alone. As many of you know, because The Register now requires subscription to their online editions, some of you cannot see articles that I might link to here on this blog. I encourage you to find a way to subscribe because new owner Aaron Kushner has spent a ton of money to revitalize his publication to the point that its really giving the Los Angeles Times a run for its money in Orange County. 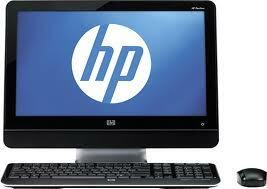 The Current, which will directly compete with The Daily Pilot in this market, has been gaining strength recently. I suspect this is mainly due to the leadership of Editor Roger Bloom and his growing team. The reporters who cover Costa Mesa and Newport Beach also work a broader geographical area and are doing a great job. 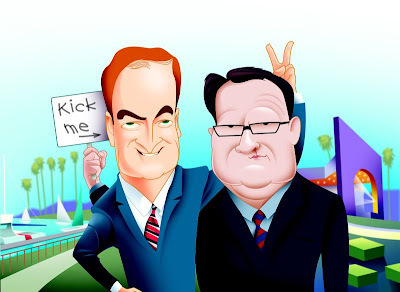 Today The Current features a couple of commentaries by Costa Mesa Mayor Jim Righeimer and Newport Beach Mayor Keith Curry. If you're an online subscriber you can find it on page 7 of the E-version of The Current, HERE. The question asked of them was, "What can your city learn from your neighbor?". The answers are telegraphed by the great image provided to The Register by artist Chris Morris, above. Curry uses his space to honestly compliment Costa Mesa for its shopping, diversity and arts venues. 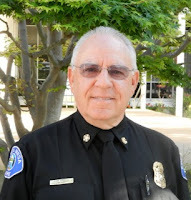 He mentions that the two cities have exchanged some excellent employees, mentioning that Newport's community development director (Kim Brandt) came to them from Costa Mesa and that Costa Mesa's Police Chief (Tom Gazsi) and Interim Fire Chief (Tom Arnold) are both Newport Beach retirees. 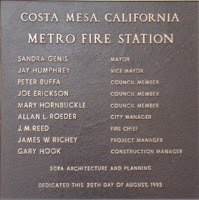 "Both Newport Beach and Costa Mesa are blessed with active, involved and passionate citizens. In the end, it is the people who make each city unique and special. We learn the best lessons when we listen to them." 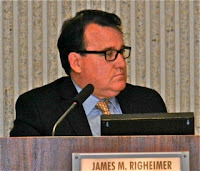 Righeimer, for his part, uses the space provided to demonstrate his envy of Newport Beach and to, once again, use it as a platform to hype his plan for Costa Mesa to become a Charter City. He opens his piece by telling us that as long as he's mayor of Costa Mesa he will never vote to raise dock fees or remove fire rings from the beach - clearly a backhand at our neighbors. So much for a conciliatory message. "Oh, and one more lesson learned from Newport Beach: I appreciate now, more than ever, our debt-free half-century-old City Hall." Again, a backhand at Newport Beach for the dedication of their new Civic Center and Park. Ah, our mayor - ever the class act. So, welcome to The Current five days a week. It's going to be very interesting to see how this move will impact The Daily Pilot - our newspaper of record for more than a century. I think the competition will be great for both of them, and for the readers, too.